The Datson B210 was blue with a stick shift that was a real stick, long and protruding from the floorboard. It had tires the size of today's spares, and it was old. But none of that stopped Jeff and me from a day trip to the beach. We were in high school, at least I was; he might have been in junior college by then. I don't really remember. Our alarm went off early, and after a bowl of Cheerios, we were headed east into the rising sun toward Pensacola. We tanned and rode the surf and walked the shore. We drank canned cola and ate sandwiches, feet dangling over a pier. And I wish I remembered our conversation, because about 10 years later he'd be gone. We rode the three hours home in the setting sun, windows down, salty hair whipping, and sun-soaked skin all tingly. The engine ran hot, so we backdrafted. Not sure I got the terminology right, and Jeff's no longer here to ask, but it's when you drive dangerously close to the 18 wheeler in front of you to catch his tail winds to give your engine a little help from a good buddy. Crazy thing is, it worked. The dashboard needle slowly stepped away from the H and no one got hurt. Kids. 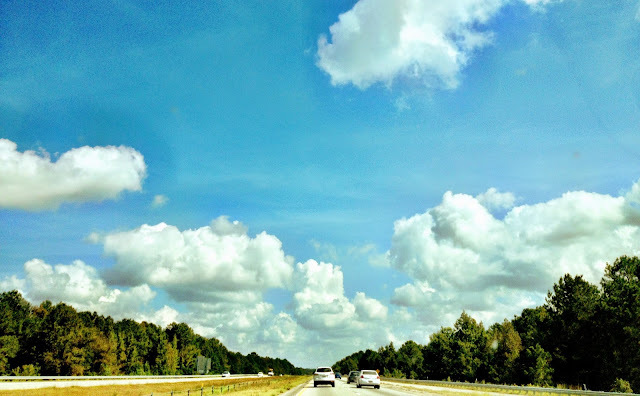 The way of teenagers on the road to a big, independent life. And we were ready to grasp it all. Yesterday I wondered for the first time what mom thought of our escapade, although I'm sure we didn't tell her about the backdraft thingy we did. I thought of mom because yesterday, I handed keys to our newest vehicle to our 17 year old. Armed with a fresh oil change, two new tires, and his GPS, Adrian embarked on his first road trip alone, navigating his teenage way to the beach. He didn't need to backdraft, but he had a smart phone, which can bring its own tempting danger to the driver's seat. Like his uncle and his mom from a generation ago, he made it safely to his destination. Except he left his reckless evidence on Facebook. That's when I remembered what I had forgotten from when I was his age: To grasp what's ahead of you, there's a little letting go of what's behind. At least he was a safe distance from the car in front of him. 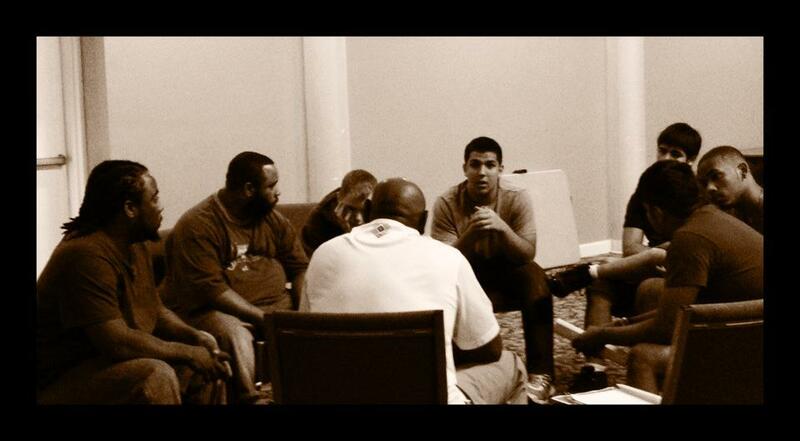 Adrian sharing with a small group at our men's retreat. Linking with LisaJo's 5 minute free-write. This weeks prompt: Grasp.